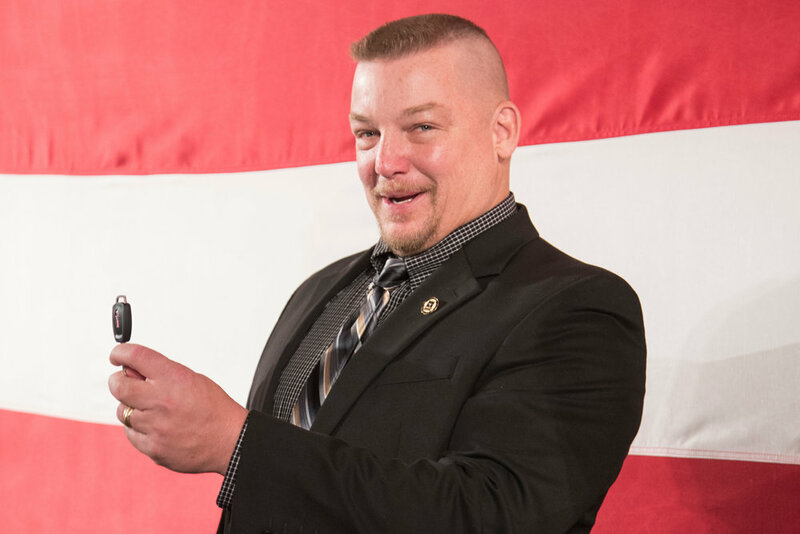 FASTPORT, in partnership with Kenworth and the U.S Chamber of Commerce Foundation's Hiring Our Heroes Program today announced Stevens Transport truck driver and U.S. Army Veteran Gregg Softy as the winner of the 2017 Transition Trucking: Driving for Excellence award. Softy received a new T680 truck, donated by Kenworth. Softy, a native of Athens, Alabama, is a retired Lieutenant Colonel with more than 28 years of active duty service in the United States Army. Softy was nominated for the award by his current employer, Stevens Transport. 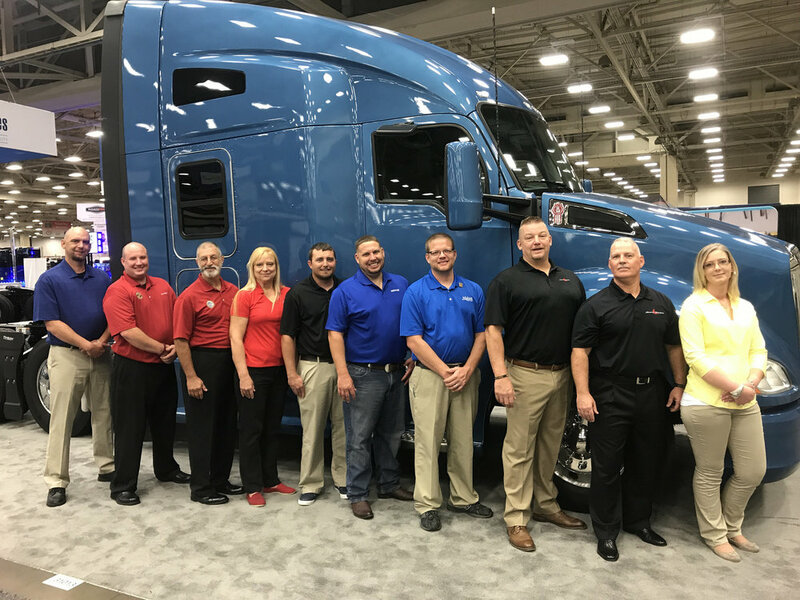 "Congratulations to Gregg Softy for his selection as the winner of the Transition Trucking: Driving for Excellence Award," said Kurt Swihart, marketing director of Kenworth. "We are honored with this opportunity to thank him for his years of service as a Lieutenant Colonel in the United States Army and his dedication to become an inspiration to other professional drivers in our industry. We are confident that the Kenworth T680 Advantage will help him get on the right road to continue his promising career in trucking." "The successes displayed by each Transition Trucking finalist in the trucking industry can be tied some way back to their military training. This gives us even more evidence that the military hardwires our veterans to excel in trucking, and industry-leading companies are uniting to attract and employ these remarkable candidates," said Brad Bentley, president of FASTPORT. "A special congratulations to Gregg as well as Wayne and Daniel who have set incredible examples of what veterans can accomplish after they transition from the military into civilian careers." 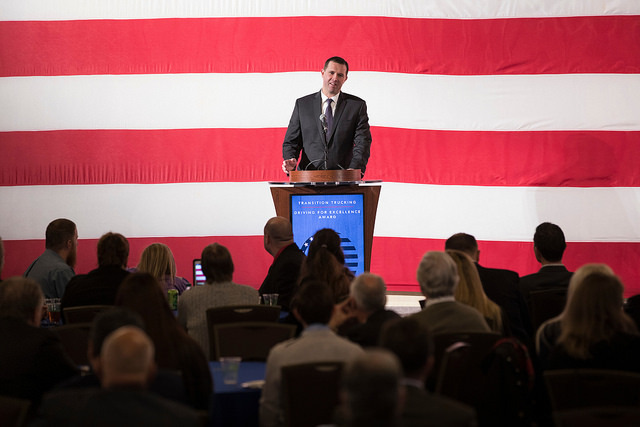 First launched in 2016, the annual Transition Trucking: Driving for Excellence campaign is focused on curbing the emerging truck driver shortage and inspiring more companies to hire more veterans, National Guard members, and reservists into the trucking industry. Throughout the year, trucking companies nominate veteran military drivers with outstanding performance. Following a public vote on nominees, an independent selection committee comprised of individuals from the trucking industry select three award finalists. Click here for more information or to nominate a veteran for the 2018 award. The "Transition Trucking: Driving for Excellence" campaign, first launched in the spring of 2016, is part of an overall effort to inspire the hiring of more veterans, national guard members, and reservists into the trucking industry. As the main part of the initiative, deserving veteran drivers who have made a successful transition from military service to the trucking industry were nominated by their carriers for the chance to win a fully-loaded Kenworth T680 truck to accelerate their newfound careers. James Rogers (US Army). Carrier: Prime, Inc. The Top 10 Finalists will be recognized at the Great American Trucking Show in Dallas, TX on August 25, 2016 during the U.S. Department of Labor’s Transportation & Logistics Sector of Excellence in Apprenticeships (SEA) Conference and ApprenticeshipUSA Accelerator. To register to attend this event, please use the following link: http://info.fastport.com/gats-dol-registration. The previous evening, these new drivers will also be recognized at the President George W. Bush Library during a tour and reception where last year’s winner and Navy veteran, Mr. Troy Davidson, will attend and discuss how his military experience enabled him to become named the best new driver in America and how the Transition Trucking award has impacted his life. B.J. Ganem, Wounded Warrior, will also be a guest speaker. To RSVP for the Transition Trucking Reception, email paige.thompson@fastport.com. For more information on the Transition Trucking: Driving for Excellence Award, please visit transitiontrucking.org. In an effort to curb the driver shortage and create immediate jobs for transitioning military personnel, the U.S Chamber of Commerce Foundation's Hiring Our Heroes Program (HOH), Kenworth, and FASTPORT have come together to award a fully-loaded T680 to a deserving veteran who enters the trucking industry. Since nominations closed on June 30th, the exceptional pool of candidates has been narrowed to the elite Top 10. The Top 10 Finalists will be recognized at the Great American Trucking Show in Dallas, TX on August 26, 2016 where the Final 3 will be announced. In addition to receiving prize packs, the remaining contestants will be interviewed by Hiring America and create a video profile, which will be posted on Hiring America’s website where the general public can vote for their favorite finalist. For more information, please visit transitiontrucking.org.